One evening, Emily Brown and her old grey rabbit Stanley hear a Thing crying outside their window. He just can't get to sleep. 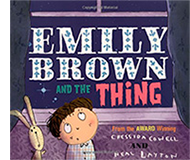 Emily Brown and Stanley set off on incredible adventures to the Dark and Scary Wood, the Whirling Wastes and beyond, to find the Thing's cuddly, his bedtime milk and his medicine... But nothing seems to help him settle. What's really troubling the Thing - and will anyone ever get to sleep? 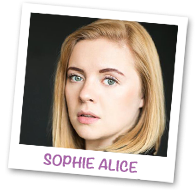 Sophie trained at the Arts Educational School, before graduating East 15 Acting School with a BA in Physical Theatre. Professional acting credits include 'Autopsy' (ITV Studios), 'Pint-Sized' (Jermyn Street Theatre) and 'The Gruffalo's Child' (Tall Stories). Sophie is very excited to perform with Tall Stories again and would like to thank her family and friends for their continued love and support. 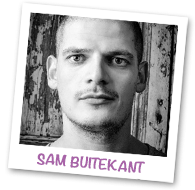 Sam graduated from St Mary's University in Drama and Physical Theatre. He has performed in and directed a number of acclaimed shows across the country and in North America. Recent credits include the award winning 'The Dragon' (Dead Rabbits Theatre) at the Edmonton Fringe Festival, Canada, and Sparkle and Dark's 'Killing Roger'. Recent directing credits include an adaptation of Lewis Carroll's 'Alice in Wonderland'. Andrew trained at The Poor School. 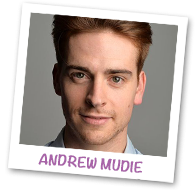 Theatre credits include 'The Gruffalo's Child' (Tall Stories), 'Room on the Broom' (Tall Stories), 'Ealing Broadway' (Southwark Playhouse) and 'Toxic Bankers' (Leicester Square Theatre). Film credits include the award-winning short 'The Monster'. Andrew can't wait to don the floppy ears and begin his next Tall Stories adventure. Olivia trained at Central / University of London. Directing includes: 'The Gruffalo' (UK, USA, Asia, Australia, Europe, DVD), 'The Gruffalo's Child' (UK, Australia, Asia), 'Room on the Broom' (UK, USA, Australia, Asia), 'How the Giraffe got its Neck' (UK, Asia), 'William's Monsters' (UK, Poland, Asia), 'Something Else' (UK, Poland), 'Them with Tails' (UK, Poland), 'Mum and the Monster' (UK), 'Snow White' (UK, USA) and 'Latke who Couldn't Stop Screaming' (UK). She is co-founder of Tall Stories. Isla trained at Wimbledon School of Art and Swinburne University, Australia. Other design for Tall Stories includes: 'The Gruffalo' and 'Snow White' (UK/US tours), and UK tours of 'Mr Benn', 'William's Monsters' and 'Something Else'. Also: 'Frisky & Mannish' (UK Tour), 'Macbeth' (Shakespeare's Globe), 'The Wedding Singer' (UK Tour), 'The Barber of Seville' (Denmark), 'Copenhagen' (Watermill Theatre), 'The Argument' and 'Three Dark Tales' (both Theatre O). Tall Stories credits include: 'The Gruffalo', 'The Gruffalo's Child', 'Room on the Broom', 'Snow White' and 'Mr Benn'. West End credits include: 'Never Forget' at the Savoy; 'Footloose' at the Novello and Playhouse; 'Holding the Man' at Trafalgar Studios; 'The Female of the Species' at the Vaudeville and 'Calamity Jane' at the Shaftesbury. Other credits include designs for the Chichester Festival Theatre, Perth Theatre, the Rose Kingston and West Yorkshire Playhouse. the National Theatre's Jubilee tribute. Claus' and sound design for 'The Tiger Who Came to Tea' and 'Spot's Birthday'. Trust and the Reading Agency and a founder patron of the Children's Media Foundation. She has won numerous prizes for her books, including the Gold Award in the Nestle Children's Book Prize. 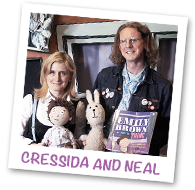 illustrated more than 60 books, working with authors such as Michael Rosen, John Hegley, Cressida Cowell and Andy Stanton, and has won several prizes including a Gold Award for 'That Rabbit Belongs to Emily Brown'.